So how has Supreme managed to avoid liability for so long? Why has Supreme been excused for trademark and copyright infringement while countless other brands like Steve Madden and Ed Hardy bear the brunt of legal action? While it may be difficult to provide a definitive answer, the reasons could be a combination of many different factors. When pursuing a claim, a company must conduct a cost-benefit analysis. The cost of litigation is the driving factor in the determination; therefore a company must be fairly certain that their trademark is in need of protection and that the chance of success is likely. 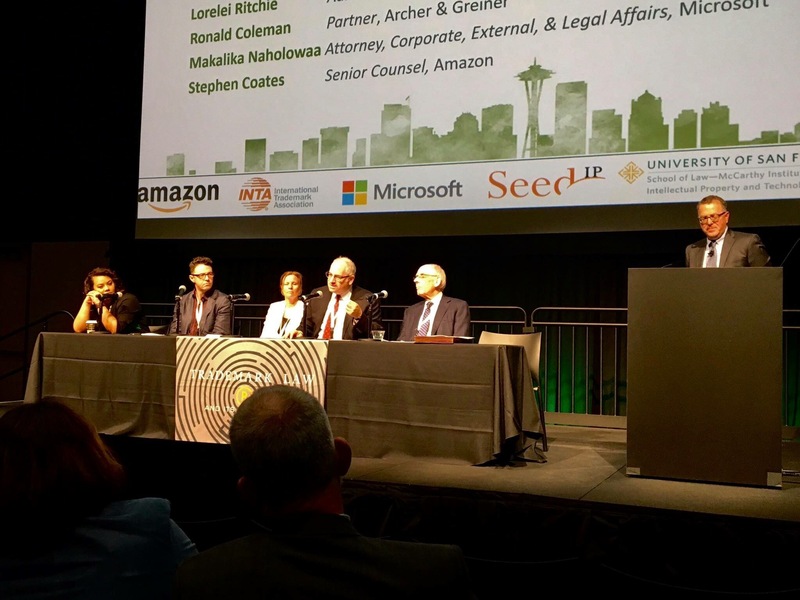 In addition, a company wants to consider the impact that the action will have on their reputation. Sometimes, when it appears that a bigger one is victimizing a smaller company, a consumer backlash against the bigger company may occur. Most important, while it may appear that a claim exists, in reality, current law may lack the necessary protection and remedy. Maybe. 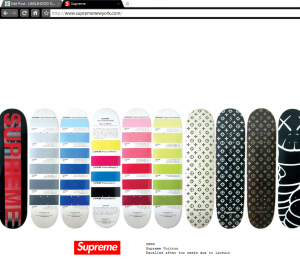 I can tell you in the Supreme Skateboards Vuitton infringement case, illustrated above and discussed in the blog post, there was plenty of protection and remedy; as the post says, “Where else can you get a Louis Vuitton monogram skateboard? Nowhere! The Supreme Vuitton collection was pulled from shelves shortly after release due to a cease and desist letter from Louis Vuitton.” Supreme did that because it was infringing down the middle and all over the place. I know because I wrote that letter, and along with my associate Matt Carlin oversaw the destruction of quite a nice collection of merchandise. There were other terms of settlement, too–not that I remember them, or even if they were confidential, but I’d think the screen capture above would be an interesting version of “compliance” if I still represented LVMH. 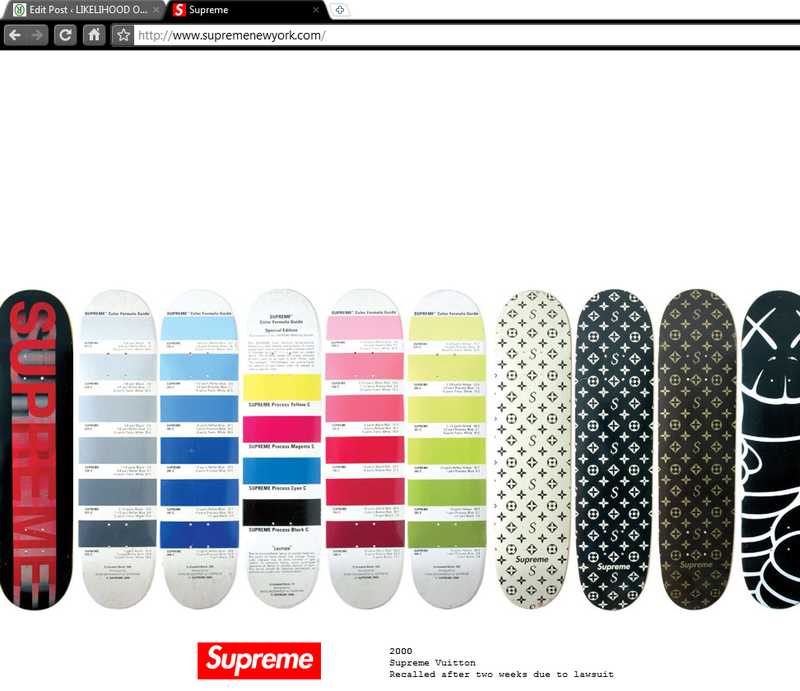 But give the Malletier credit: We got the goods on Supreme, and then we had ’em ground up. If these funky lifestyle whatevers got schooled in the process, well, perhaps there’s your answer right there. That’s life in the concrete canyons! Damages for willful infringement combined with pecuniary fees should fix their wagon… or skateboard.